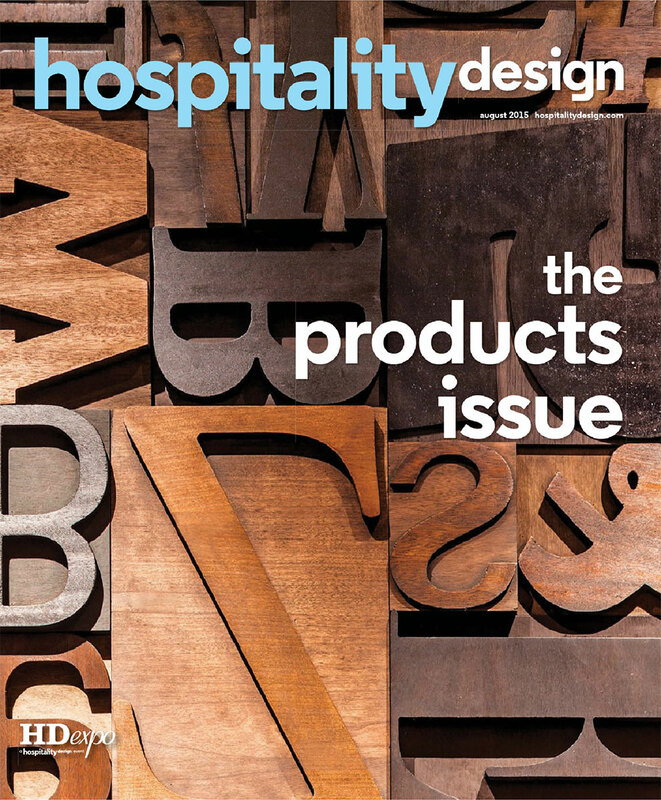 Spinneybeck's Check Rug is featured in the August 2015 issue of Hospitality Design. 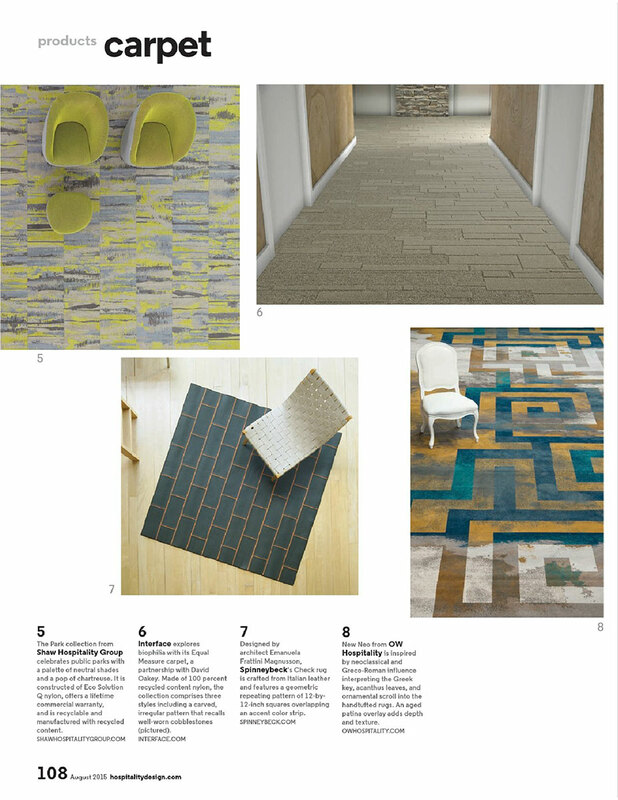 Designed by noted architect Emanuela Frattini Magnusson, Spinneybeck rugs are fabricated with superb craftsmanship and the finest Italian leather. Check features a geometric repeating pattern of 12 x12 in (30.5 x 30.5 cm) leather squares overlapping an accent color strip.